Our infrastructure is designed to provide an extremely scalable, highly reliable platform for online referrals. Tens of thousands of employees are simultaneously supported making referrals, sending messages, sharing jobs, and importing contacts from their social networks. Admins are provided with highly secure access to their referral program data and analytics, both via our web interface and API. Our data centers are hosted by Amazon Web Services (AWS). As such, AWS is primarily responsible for the confidentiality, integrity, availability, and physical security of our data centers. Our application architecture, database encryption, and access are secured, controlled, audited, and monitored by our in-house engineers. Our application infrastructure is built and managed according to security best practices and standards. We use redundant and layered controls, continuous validation and testing, and a substantial amount of automation to ensure that the underlying infrastructure is monitored and protected 24x7. Our application communications are secured by 128bit encryption using AES_128_GCM with ECDHE_RSA key exchange over the Secure Socket Layer (SSL). This ensures private communication between our servers and your devices. Deep visibility into API calls, including who, what, when, and from where calls were made. 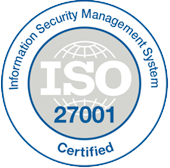 ISO 27001. A widely-recognized international security standard that requires the design and implementation a comprehensive suite of security controls. Our certifying agent is EY CertifyPoint. SOC 1/SSAE 16/ISAE 3402. 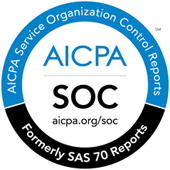 SOC reports are completed to assure compliance with the ISAE 3402 security standards. While the ISAE standards apply specifically to professional accounting practices and their auditors, they’re still provide a strong. PCI DSS Level 1. 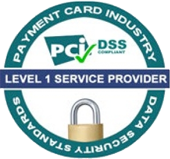 PCI DSS is a standard that specifies best practices and various security controls in regards to cardholder data. Although most of our financial transactions are handled via invoices, we do process credit cards via stripe.com from time to time. Safe Harbor Compliance. Our European data centers are also fully compliant with applicable EU data protection laws and the Article 29 Working Party Model Clauses. Please note that Safe Harbor compliance is supported on a client-by-client basis with additional fees required for setup. Perimeter firewalls and edge routers block unused protocols. A third-party service provider continuously scans the network externally and alerts changes in baseline configuration. All data are backed up at each data center, on a rotating schedule of incremental and full backups. The backups are cloned over secure links to a secure archive. Backups are not transported offsite and are securely destroyed when retired. Our application is built for fast, on-demand scalability. Everything is built with enterprise level clients in mind, and we successfully serve many of the nation’s largest corporations.